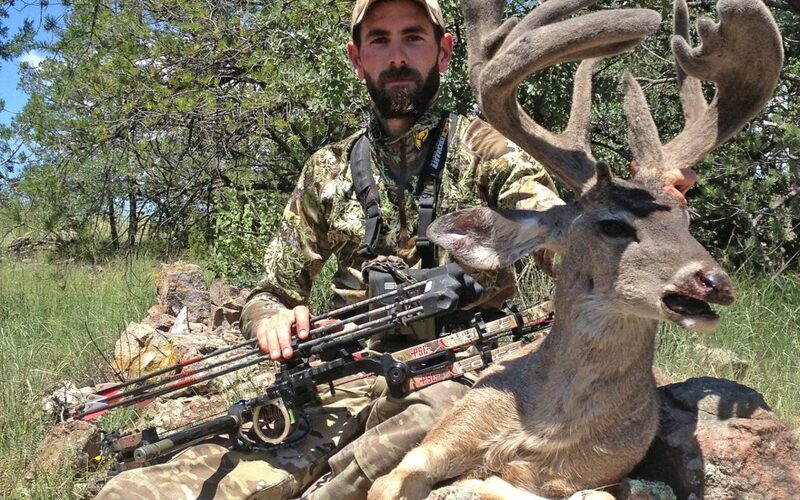 On May 19th, at a Cabela’s in Phoenix Arizona, Marvin Zieser, Corky Richardson, Roy Grace and Ed Fanchin convened a P&Y Special Panel of Judges to measure a non-typical Coues deer taken by Wesley Ely of Wilcox, Arizona. The deer was shot in August 2017 in velvet and stripped prior to the official measurement. The final score of 139 2/8 ties the existing P&Y World Record. At the close of every biennial recording period, numerical awards and honorable mentions are awarded to the most outstanding bow-harvested animals in each species category entered during this two-year recording period. New World’s Records are recognized, and awards are presented to these exceptional animals during the Pope and Young Club’s Biennial Convention and Awards Banquet. 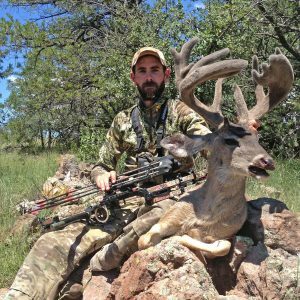 Wesley’s Coues’ deer will be on display at the 31st Biennial Convention in Omaha, Nebraska April 10th – 13th, 2019. This is an official Pope and Young Club World Record of the 31st Recording Period and the second using a Special Panel of Judges. The Pope and Young Club is a non-profit North American conservation and bowhunting organization dedicated to the promotion and protection of bowhunting by striving to increase awareness and appreciation of bowhunting foundations, principles and values. The Pope and Young Club is focused on Fair Chase hunting ethics that support the ethical pursuit of free-ranging, wild game animals without unfair advantage while promoting the conservation of both habitat and wildlife. The Club also maintains the universally recognized repository of records and statistics on North American big game animals harvested with a bow and arrow. Congratulations ! How great is that for being on public land!